The University now provides access to two abstract and indexing databases, Scopus and Web of Science (previously called Web of Knowledge). But which should you use? And which will give you the best results? First, what are ‘abstract and indexing’ databases? Essentially, these contain basic information about a wide range of journal articles and other publication (such as conference papers). They do not contain the full text, just enough information for you to identify if the source is relevant to your topic. Library Services provide access to many of these as full text articles, both in print and/or online. 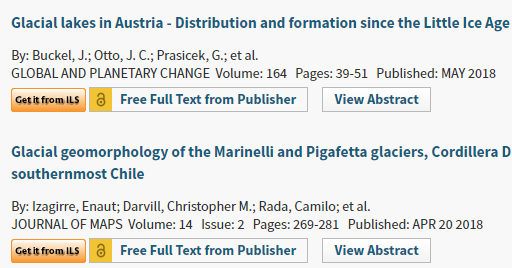 So both databases are useful for finding articles, and also for tracking citations and other metrics. They are compiled by real people, so the information provided will have been checked, unlike for example Google Scholar, which relies on machine-read algorithms. 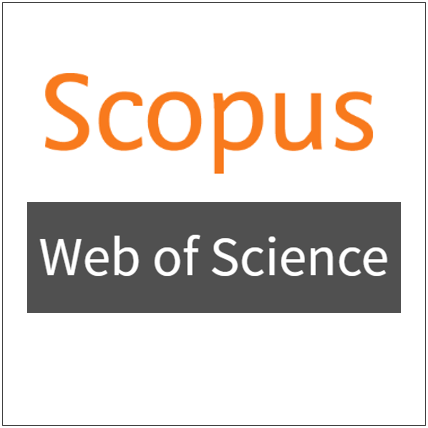 Scopus is a large interdisciplinary database from Elsevier, with particular strengths in science and technology. The bibliometric & citation features use the whole of the Scopus database. However, as a relatively new database, the years covered are limited. At the moment, unless Open Access, Library Search will not identify the full text article if we subscribe to it. This is being considered for future upgrades. You can export references directly to Mendeley (also now owned by Elsevier). Web of Science is a collection of databases maintained by Clarivate Analytics. These include the Biosis Citation Index, Medline and SciELO. If you search using the default ‘all databases’ option you are searching this larger collection, but Web of Science also contains a ‘Core Collection’, covering science, social sciences and humanities. Most of the bibliometric and citation features only use this smaller Core Collection. If we have a subscription to the full text version of the material, Web of Science will link to it. Both databases allow you to refine your searches, and to store results in a temporary folder, or create a permanent account. You can also export references to a bibliographic software account, although these tend to be the ones provided by the same company. Using a generic format (such as RIS) allows export to any referencing software. It is best to use both databases when searching for information, at least to start with. Once you can judge the returns you are getting, one may stand out over the other. This very much depends on the subject, and also the date coverage you need. If you’d like more help in using either database, then please contact your Academic Liaison Librarian, email the Research Support Librarian, or askalibrarian.